Being that we have been on a bit of a health kick lately, we decided to make dinner at home before heading out for the evening. I bought everything at SLU Whole Foods and was surprised to find out that they didn’t have ground chicken breast! 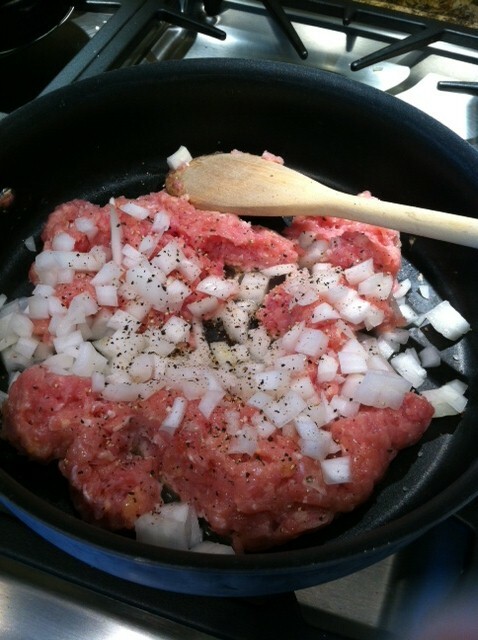 SO, I chose ground chicken thigh instead…probably could have substituted with turkey too. First, in a skillet on medium high heat, cook chicken, onions, salt and pepper adding the minced garlic and ginger about half way through. In a microwave safe bowl, combine soy sauce, rice vinegar, chili garlic sauce, pepper, honey, peanut butter. Zap it in the microwave for about 20 seconds and then add the sauce to the chicken in the skillet. 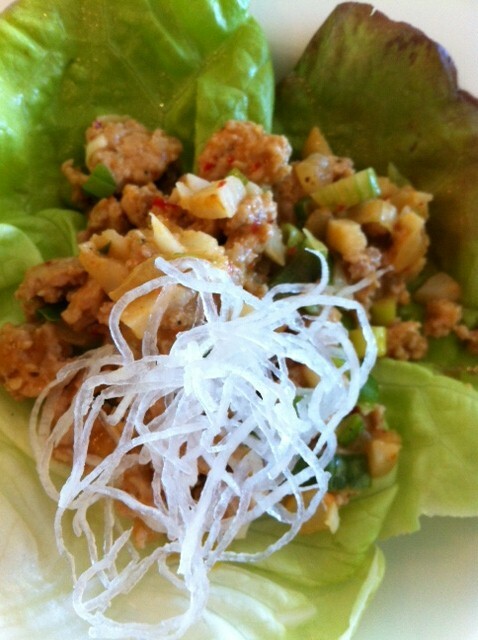 Spoon the chicken on top of a lettuce leaf and garnish with a bit of daikon! Add green onions and water chestnuts to the skillet and then cook for another couple of minutes on low heat. To serve, just spoon the chicken into a lettuce leaf and top with a bit of the daikon radish. Very yummy and simple!